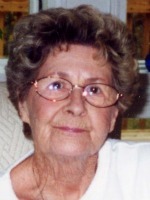 Margaret C. Pegg, 75 years old of Otsego died Thursday, May 24, 2007 in Kalamazoo. Margaret was born January 1, 1932 to Floyd and Mildred (McLaughlin) Clawson in Otsego. She was a parishioner of St. Margaret’s Catholic Church. On December 12, 1951 she married Earl Pegg who preceded her in death in 1980. She is survived by her children, Steve (Ann) Pegg and their sons, Brian and Jason of Otsego and Christine (Pete) Jirgens and their son Chad of Otsego; and a sister Shirley Handrich; several nieces and nephews. Also preceding Margaret was a brother Paul Clawson and a sister Mary Lukins. Friends may meet the family from 6-8 P.M. Monday at the Winkel Funeral Home in Otsego, MI, where a Scripture Service will be held 7:30 P.M. A Mass of Christian burial will be held Tuesday at 11:00 A.M. at St. Margaret’s Catholic Church with Rev. Fr. Donald P. Klingler officiating. Burial will follow at St. Margaret’s Catholic Cemetery. Donations in memory of Margaret may be made to American Heart Association. Robert W. Sage, a lifelong resident of Otsego, died May 23, 2007 at Select Specialty Hospital in Kalamazoo, with his family at his side. He was born June 3, 1921, in Otsego, the son of Fay and Madellon (Burdick) Sage. On December 25, 1942 at the Oakwood Methodist Church in Kalamazoo he married Mary Margaret Miles. They celebrated 60 years of marriage. She preceded him in death on August 15, 2003. Surviving are his daughters, Sharon Sage of Otsego and Janis (Robert) Crandall of Marshall; grandchildren, Lisa (Bjorn) Larson and Robert Crandall; and great-granddaughter, Hannah Larson. Robert was an avid hunter and fisherman and enjoyed the outdoors. He enjoyed tinkering in his workshop and being a good neighbor. He was a scout leader for many years. One of his proudest moments was when he received the Silver Beaver Award from the Boys Scouts of America. It is one of the most prestigious awards granted by one’s own peers in Scouting for distinguished service to youth. Robert was employed by Shakespeare’s in Kalamazoo for over 40 years, retiring in 1981. Friends may meet the family from 2 to 4 and 6 to 8 P.M. Friday at the Winkel Funeral Home, Otsego, where funeral services will be held at 11:00 A.M. Saturday, Rev. Jack Eitelbuss officiating. Interment will be at the Mountain Home Cemetery in Otsego. Contributions in memory of Robert may be made to the Otsego Church of God library. 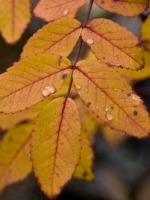 Donald L. Holmes, 52 years old of Cedar Springs, MI died Monday, May 21, 2007, in Grand Rapids. Mr. Holmes was born November 18, 1954 in Kalamazoo, the son of Elwin L. and Helen M. (Blanchard) Holmes. Surviving are his father Elwin L. (Marilyn) Holmes of Kalamazoo; a brother, Elwin C. (Lori) Holmes of Delton; nephew, Elwin P. Holmes and niece Erika M. (Derek) Wykstra. Donald was preceded in death by his mother and his grandparents. Friends may meet the family from 6 to 8 P. M. Thursday at the Winkel Funeral Home, Otsego where services will be held Friday at 11:00 A.M., with Pastor Steve Slater of the Doster Community Reformed Church officiating. Burial at Mt. Ever-Rest Memorial Park will be at 1:00 P.M. Memorial contributions may be made to Hope Network of Grand Rapids. 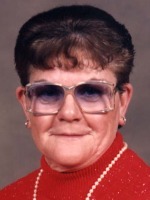 Kay E. Wallace, 65 years old of Plainwell died Saturday, May 19, 2007 at her home. Kay was born April 7, 1942 in Otsego, the daughter of Robert and Bertha (Finger) Nichols. She was a 25 year member of the Otsego Women of The Moose. In 2001, Kay retired from Pharmacia after 15 years of employment. She enjoyed knitting, crocheting, bowling, bingo, shopping, making beads into jewelry, collecting and making dolls. On November 5, 1960, in Otsego, she married Donald Wallace, who survives. Also surviving are 1 daughter and 3 sons, Kimberly (Victor) Tikkanen of Clearwater, FL, Kevin Wallace of Middletown, OH, Michael (Wendy) Wallace of Plainwell, Robert Wallace of Largo. FL; 9 grandchildren, Amanda, Stuart, Troy, Ashley, Nikki, Tanya, Diane, Erica and Dylan; 1 great granddaughter, Kay; 1 sister and 2 brothers, Alan (Betty) Nichols of Grand Rapids, Jack (Betty) Nichols of Otsego, Becky (Bill) Kracker of Mattawan, several nieces and nephews. She was preceded in death by her parents, 3 brothers and 1 sister, Dale, Max and Don Nichols and Nancy Sweet. Friends may meet the family from 5 to 8 PM Wednesday at the Winkel Funeral Home, Otsego, where services will be held Thursday at 11:00 AM, Rev. Mark Minegar officiating. Interment in Mountain Home Cemetery, Otsego. Memorial contributions may be made to Wings of Hope Hospice. 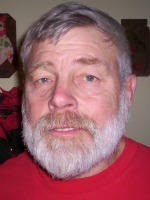 Gary Rickli of Otsego, Michigan, died Friday, May 11, 2007 in Allegan. Gary was born August 19, 1959 in Plainwell to Walter and Lois (Snyder) Rickli Sr. He was a 1978 graduate of Otsego High School and had been employed for the past 10 years with Nieboer Heating and Air Conditioning Co. Gary enjoyed bowling, ice fishing, mushrooming, golfing and watching Tiger baseball. Surviving are Lisa Rickli; his mother Lois Rickli of Otsego; his brothers, Walter ‘Rick’ (Sue) Rickli of Otsego and Tony (Tammy) Rickli of Plainwell; many aunts and uncles; 4 nephews and 3 nieces, Jeremy, Jason, Jonathan, Casey, Ashley Lynn(fiancé Matt McKee), Ashley Kay and Amber; a great nephew, Gage; his dogs, Kayla, Pooky and Hope. He was preceded in death by his father Walter in 2005 and his grandparents. Friends may meet with the family from 2 to 4 and 6 to 8 P.M. Monday at the Winkel Funeral Home, Otsego. Services will be held Tuesday at 11:00 A.M. at the First Congregational Church of Otsego, Pastor Don Ray officiating. Cremation will follow. Contributions in memory of Gary may be made to the Allegan County Animal Shelter. Steven E. Johnson, 57 years old of Otsego, passed away Thursday, May 10, 2007 at his home. Steve was born October 9, 1949 in Allegan, the son of Neil and Mary (Wollenhaupt) Johnson. He was a 1971 graduate of Otsego High School. Steve was an Army Veteran of the Vietnam War and was a Life Member of VFW Post #3030. For the past 27 years, he had been employed with Cushman Construction in Otsego, and for the last 3 years was co-owner. Steve coached AYSO soccer and became a Certified Soccer Referee so he could officiate at all levels of soccer. He loved to work, cut wood, operate heavy machinery, and play with his grandchildren. On February 12, 1971, in Kalamazoo, he married Joyce Mason who survives. Also surviving are 2 sons, Steven Johnson II and Joshua Johnson; 4 grandchildren, Suzey, Deven, Hunter and Colton; his mother Mary Drainer; 2 brothers and 1 sister, Richard Johnson, David Drainer, Beth Bailey; several aunts, uncles and cousins; many friends. Cremation has taken place. A memorial service and a toast for Steven will be held Sunday, May 13 at 2pm at the VFW Post 3030, N. Farmer St., Otsego. Memorial contributions may be made to the American Cancer Society or the Disabled American Veterans. 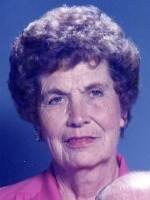 Beulah Faye Pape, 88 years old, of Otsego died Thursday, May 10, 2007. Mrs. Pape was born February 18, 1919 in Kalamazoo to Henry and Francis (Youngblood) DeHaven and had been a lifelong resident of the area. For many years she was employed with Illinois Envelope and had also work at Schensul’s Cafeteria and KVP Sutherland Paper Company. Beulah enjoyed spending summers at the cottage at Sleeping Bear Dunes and fishing. On August 10, 1940 in Bryan, Ohio, she married Andrew ‘Andy’ Pape who died in 2000. Also preceding her in death were her brother, Floyd DeHaven and her sister Marian Cummings. Surviving are her son, Philip (Josephine) Pape of Otsego; three grandchildren; 10 great-grandchildren; several nieces and nephews. Friends may meet the family from 2 to 4 and 6 to 8 P.M. Monday at the Winkel Funeral Home in Otsego where services will be held at 11:00 A.M. Tuesday, Rev. Thomas Koning officiating. Burial will be at 2:00 P.M. at Mount Ever-Rest Memorial Park, Kalamazoo. For friends in the Sleeping Bear Dunes area, the family will arrange a memorial service at a later date. In lieu of flowers, contributions in memory of Beulah may be made to Hospice Care of Southwest Michigan, VanBuren office, or the Shriner’s Hospital. Derwood L. Laws of Otsego, Michigan, died Tuesday, May 8, 2007 in Plainwell. Mr. Laws was born January 26, 1928 in Otsego to Loren and Verla (Baker) Laws. From 1970 to 1983 he owned and operated Derwood’s Shoe Repair in Marshall, now run by his son, Louie; and worked delivering cars for many dealerships around Otsego. Derwood enjoyed fishing, taking long country rides, vacationing and spending quality time with family and friends. Most of all, he enjoyed spending time with his grandchildren. Surviving are his beloved wife, Donna Laws; his children, Steve (Sally) Laws, Louie (Mary) Laws and Bonnie (Brian) McDonald; his step-children, Victoria (Rod) Wade, Linda (Joel) Jones, Cindy (Bud) Steward and Jenette (Carl) Robar; 26 grandchildren; 33 great-grandchildren; 1 great-great-granddaughter; his sister and brothers, Erma Jean Wheeler, Ron (Jennie) Pillars, Doug Drumond and Larry (Debbie) Pillars; many nieces and nephews. He was preceded in death by his mother, Verla Pillars; his daughter, Peggy Wine in April 2001; a brother, Robert and a sister Bernadine. Friends may meet with the family from 12:00 noon until 1:00 P.M. today (Thursday) at the Winkel Funeral Home, Otsego, where services will be held at 1:00 P.M., Pastor David M. Pabis officiating. Cremation will follow. Contributions in memory of Derwood may be made to the American Heart Association or the American Lung Association. Elieen Ray of Otsego, Michigan, died Monday, May 7, 2007 in Kalamazoo. Mrs. Ray was born April 25, 1921, in Detroit to Harvey and Rose (LaDuke) Goolsby. Elieen was a 1939 graduate of Kalamazoo Central High School. On June 29, 1940 in Indiana she married Ritchey Ray who survives. They were owner/operators of “The Hut” Drive-in in Otsego. Elieen also worked at Parker Hannifin retiring in 1980. She enjoyed spending time with her grandchildren and devoted her life to taking care of her family; she also enjoyed bingo and flower gardening. In addition to her husband also surviving are a son, Ron (Jane) Ray of Texas and a daughter, Diane (William) Cole of Otsego; 17 grandchildren, 14 great-grandchildren, and 1 great-great-grandchild; 3 sisters-in-law, Marian Ray, Sheila Beagle and Leona McLaughlin; many nieces and nephews. Elieen was preceded in death by her parents; a son Ritchey; and a daughter Deane. In keeping with her wishes cremation has taken place. A memorial service will be held from 1 to 3 P.M. Saturday at the Otsego V.F.W. Post 3030. Contributions in memory of Elieen may be made to the Elks Major Project or the Ladies Auxiliary Post #3030.